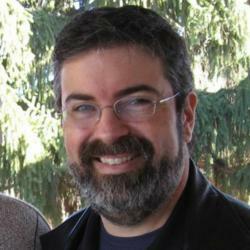 Former Bing Webmaster Center Blog manger Rick DeJarnette has joined the Internet Marketing Ninjas SEO team. As part of the recent re-branding and expansion of SEO services, Boykin has prioritized hiring experienced, knowledgeable, and respected people in the SEO industry. This move reflects his commitment to in-house training and providing customers with top-quality professional services and exceptional business value. Headquartered in Clifton Park, New York, Internet Marketing Ninjas (IMN) offers a full-line of tools and Internet marketing services proven to increase Internet visibility and overall business profitability. Since launching his company in 1999, Jim Boykin has earned a number of industry awards, including Search Engine Journal’s “Best Link Building Blog” for 2006 and 2007. Boykin also was one of Capital District Business Review’s “40 Under 40” for 2009. Internet Marketing Ninjas currently serves more than 100 clients and employs nearly 100 SEO ninjas. The company is still hiring and is expected to continue to grow steadily over the next several years. IMN is currently among the top five Internet marketing firms in the nation. Internet Marketing Ninjas is excited to continue to redefine SEO and Internet marketing. Learn more about Internet Marketing Ninjas at http://www.internetmarketingninjas.com.